VirtualSC offers free rigorous online courses aligned to state standards that are developed and taught by Highly Qualified, SC licensed teachers. The VirtualSC Course Catalog is a list of all potential courses offered by VirtualSC. 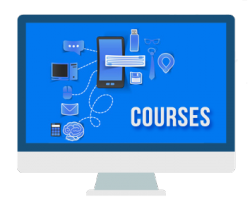 Click on the Current Course Offerings button below to view the courses that are offered each semester. To learn more about a course, click on the course title in the catalog below. View course offerings by semester. Review enrollment dates and deadlines for each semester. Are we missing a course? Suggest new courses here.